October through to March always a possibility . 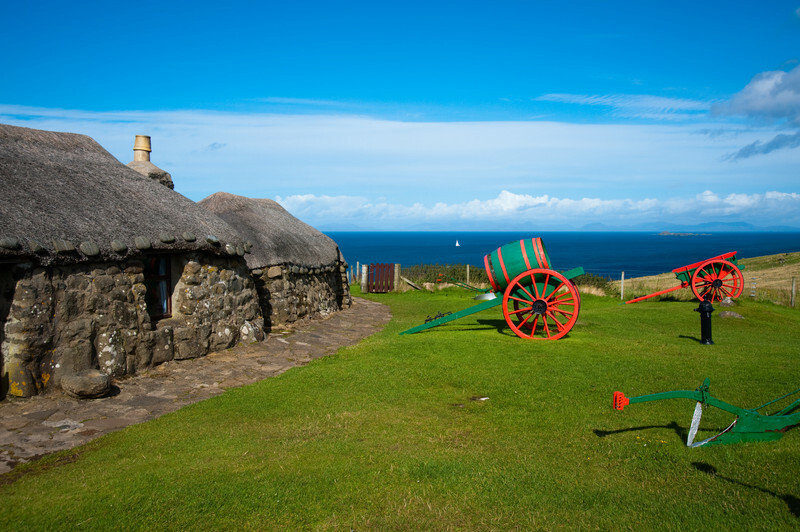 Clouds B&B is located in the Trotternish peninsula on the north east of the Island. The area is popular with those wishing to enjoy the outdoors with a good range of on and off road walking, running and cycling routes directly accessible from Clouds B & B, each of which will afford beautiful views in all directions. Linicro is part of the township of Kilmuir, the hub of which is the local Community Hall which hosts a cafe, and which also stages frequent dances, plays, quizzes and exhibitions. 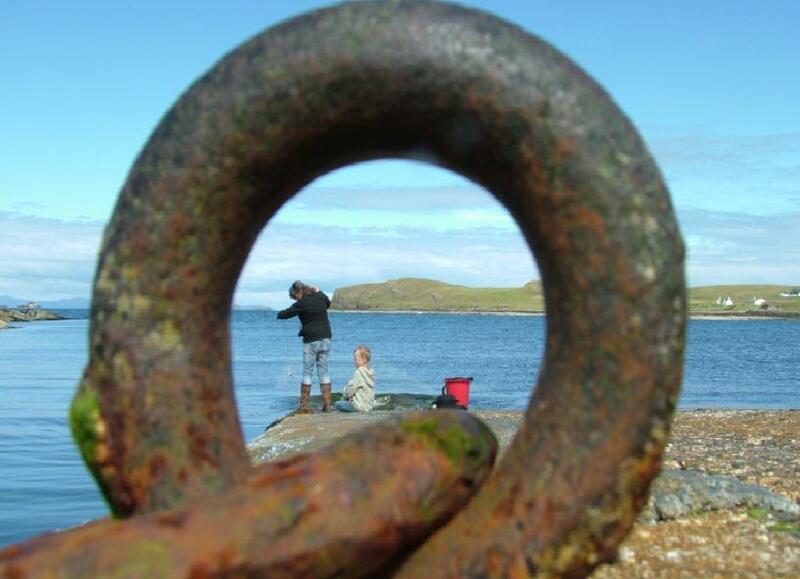 If you travel North by car, you'll have easy access to Camus Mor slipway and beach, the Skye Museum of Island Life and, at the tip of the peninsula, the remains of Duntulm Castle. A little further afield, there is a wonderfully scenic walk out to the Point at Rubha Huinish. The closest village is Uig, four miles away to the South which has good local services including shops, post office, village hall, hotels, bars, restaurants and cafe's and the ferry terminal to the Western Isles. 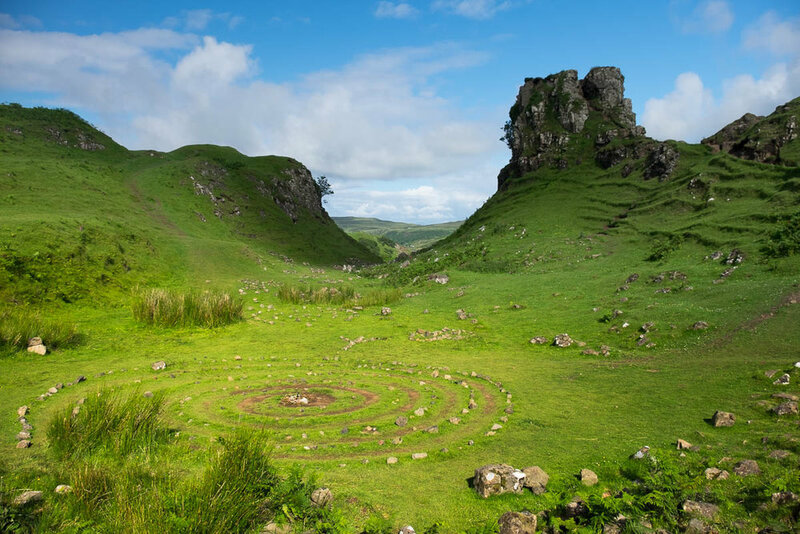 The popular Fairy Glen is also located just South of Uig. 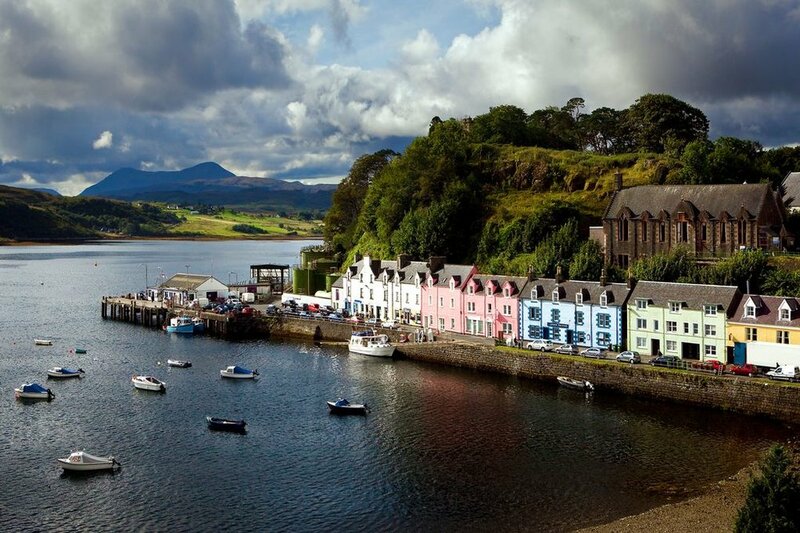 The Island’s capital, Portree, is 18 miles away and has all the services and facilities you would expect of a growing town including supermarket, cinema, theatre, shops, hotels, bars, restaurants, medical and dental facilities. About three miles South of Clouds is a slip road across to the village of Staffin. 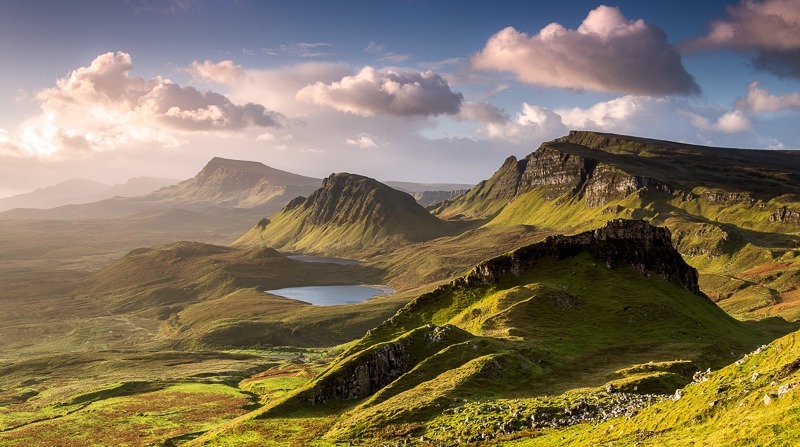 This road takes you through one of the most beautiful places on Skye, the Quiraing ridge. Film fans might notice that many of the scenes in the 2015 movie 'Macbeth' were filmed here, as were slightly older productions, such as Prometheus and Stardust. There is a car park here, and you can spend hours enjoying the surrounding area. Staffin itself is of interest with its shops, cafes, galleries and so on, and if you take the road South, you'll travel to Portree via the other side of the Trotternish peninsula. This will take you past Kilt Rock, Lealt Waterfall and one of the most famous geological landmarks in Britain - The Old Man of Storr. ALL of these landmarks are with 25/30 minutes of Clouds B & B. If you'd like to research the area a little more, please visit the links below.